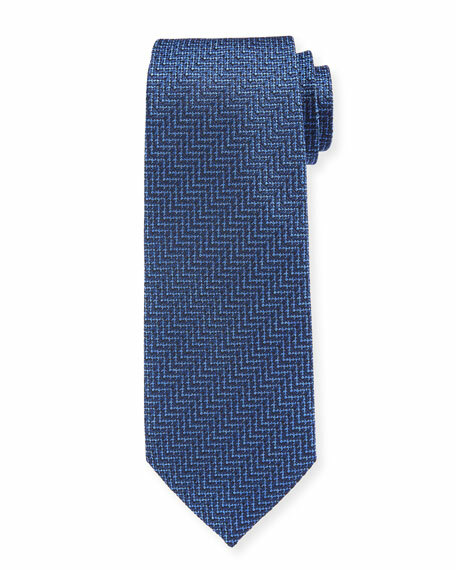 TOM FORD tie featuring tonal zigzag herringbone pattern. Approx. 58.5"L; 3.3"W at widest.